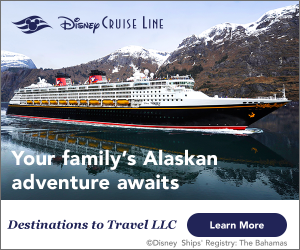 Here’s the latest on the Incredible Summer celebrations – plus the all the updates on news, weather, refurbishments and closings this week at Walt Disney World. Incredible Summer is here! Photo courtesy of Disney Parks Blog. The Incredible Summer has kicked off at Walt Disney World and there’s so many exciting things to see and do! First stop: Magic Kingdom and the Incredible Tomorrowland Expo. 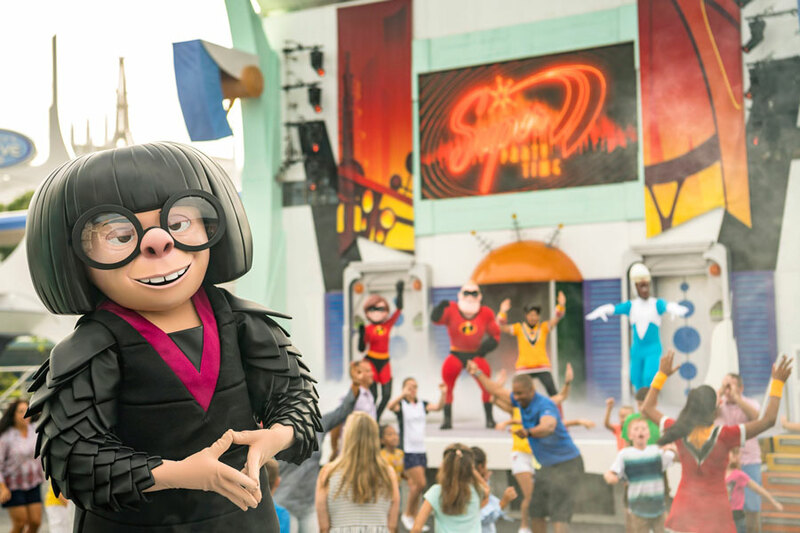 Celebrate with your favorite Incredibles characters, including Edna Mode. Next, stop by Disney’s Animal Kingdom to dance the night away at Donald’s Dino-Bash! You can also meet Scrooge McDuck, Launchpad McQuack, Daisy and Donald in DinoLand U.S.A. Incredible Summer treats look spectacular, dahling! Photo courtesy of Disney Parks Blog. 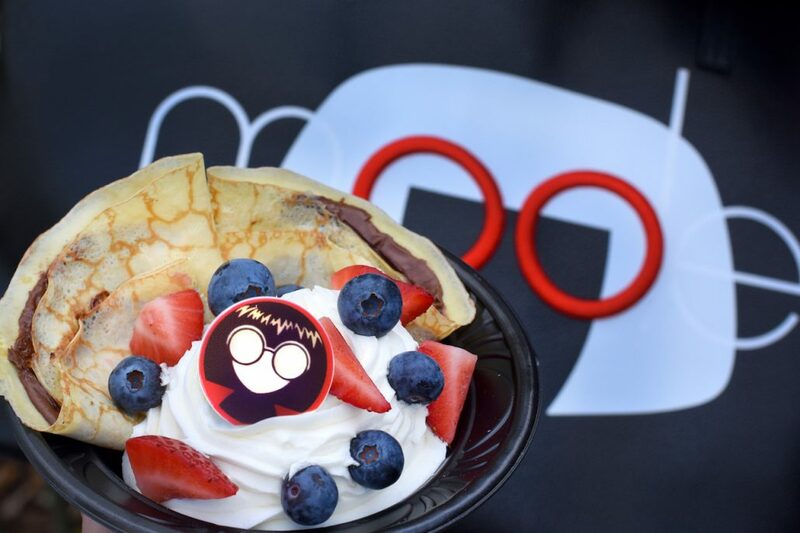 Auntie Gravity’s Galactic Goodie’s has enhanced their menu with Edna Mode’s “No Capes, Just Crêpes.” The bottom layer of this incredible sundae features a chocolate-hazelnut crêpe topped with ice cream and berries followed by a blackberry lavender jam crêpe topped with ice cream and fruit-flavored cereal. If you are looking for a snack that’s not as extravagant, just head to a snack cart in Tomorrowland for a Frozone SnoCone that’s blue raspberry flavored. Finally, to satisfy your salty tooth, The Lunching Pad has an Incredible Pretzel Mask to add a new twist to your pretzel eating experience. Make sure you take a picture “wearing” it before you eat it. Opening season has been announced for Star Wars: Galaxy’s Edge! The new themed land will open in the summer of 2019 at Disneyland Resort and in late fall 2019 at Walt Disney World Resort. Although construction progress on this new land has indicated they are behind schedule, it seems as though Disney may have missed taking advantage of their summer attendance with this later opening. They also missed being able to open on May the fourth. Are you excited for this announcement, or do you wish the opening was earlier? 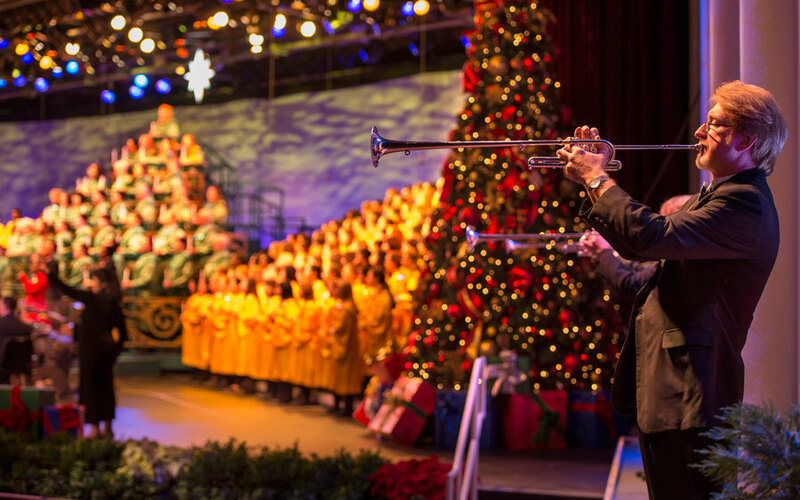 Candlelight Processional Dates for 2018 have been announced! Photo courtesy of Disney Parks Blog. Be ready to delight in the sights and sounds of Christmas! (Yes, we know it isn’t even summer yet.) Epcot International Festival of the Holidays begins November 18th and runs through December 30th. The Candlelight Processional will open for the first time in history on Thanksgiving (November 22nd) and run through December 30th. The narrators for this year’s event haven’t been announced yet, but we’ll be sure to let you know as soon as they become available.